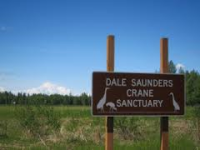 Just a few miles from our property is a Sandhill Crane Sanctuary run by Dale Saunders. You can drive by the Sanctuary and enjoy the birds from the road. It's quite common to see them flying overhead. the history of our area. Stop by Wal-Mike's just north of our place. Open since 1965, Wal-Mike's is part of the local history. You'll find a one of a kind shopping experience and you're likely to hear a great story or two. Of course, this is one of the main reasons people visit our area. We are halfway between Anchorage and The Park. And, we have some of the best views on the highway! Located at Mile 147 on the Parks, as the highway is known around here. Every Memorial Day weekend, veteran bikers from all over the state rent out our entire facility as part of their annual memorial ride and service. Many speices of wildlife share our corner of the world and wildlife viewing is a main attraction for visitors and locals alike. In our area you may see moose, bear, porcupine, swan, and fox. 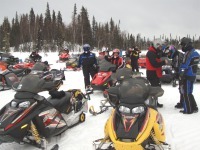 The Curry Ridge Riders Snowmobile Club is the club of the Petersville/South Denali area. This area is generally North and West of Trapper Creek. CRR grooms and maintains our area winter trails. 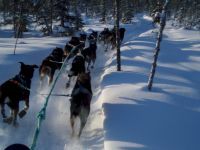 There are over 50 miles of winter trails in the Trapper Creek area used by dog mushers, snowmachiners, and skiiers alike. We even have a trailhead on the back of our property and plenty of plowed parking so come play! The club was formed in 1991 to support Anchorage snowmobiler’s interested in having more places to ride and better snowmobile access. The Petersville Recreational Mining Area has been set aside by the state of Alaska so people can experience some of the thrill of prospecting for gold. 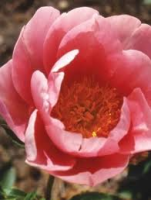 Right in Trapper Creek is Hoffmann Acres, a family farm specializing in cut flowers...beautiful! Every Memorial Day weekend, loads of talented musicians and tons of bluegrass fans descend onto Trapper Creek for days of music and fun! 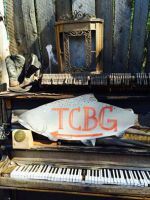 This local favorite summer event is held in July and is a great place to see local artisan work, eat delicious food, and listen to live music. Held the second weekend in March each year, this festival will surely help ease your cabin fever at just the right time! The parade, raffle, and pancake breakfast are just a few of the festivities. Each fall, local residents bake their most amazing desserts that are then auctioned off to raise money for the area PTA. In past years, baked goods have sold for up to $200! !